Finally, apart from the magic of the landscape, the sea and the sun all year around, Kato Zakros is worth the miles to travel, even if you just wish to relax on a beautiful beach in Crete, without so many people and mainly without feeling like a tourist. Besides, if not immediately, you will get to know the locals and enter their company. The swim in the crystal clear waters, the nature and the old civilization of Crete, await you. 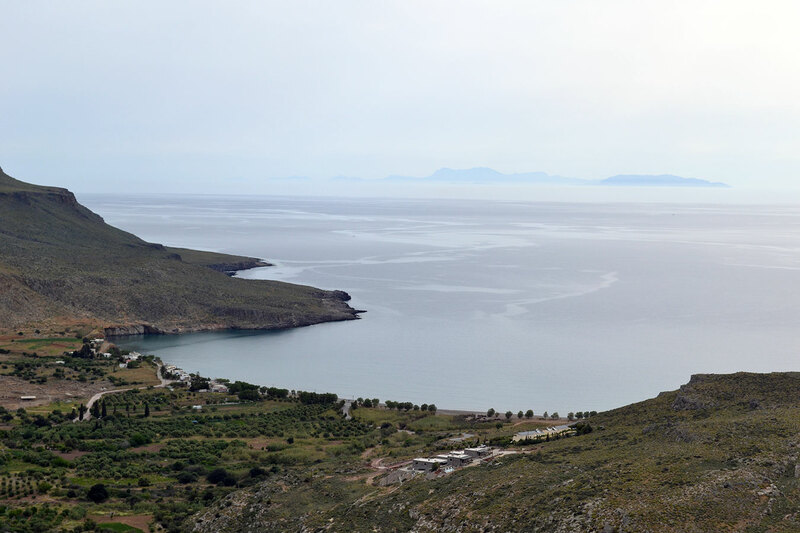 Zakros and its seaport Kato Zakros are found in the most south-eastern part of Crete and are three hours away from Heraklion or about 40 minutes from Sitia. It is a reason for the traveller to realise how big and inexhaustible Crete is, while if it happens to love hiking, he will realise with surprise that he reached the point where the famous European path E4, which begins from the Pyrenees mountains and crosses France, Switzerland, Austria, Germany, Hungary and Bulgaria, reaches continental Greece up to Peloponnese then Crete and finally Kato Zakros, finishes. 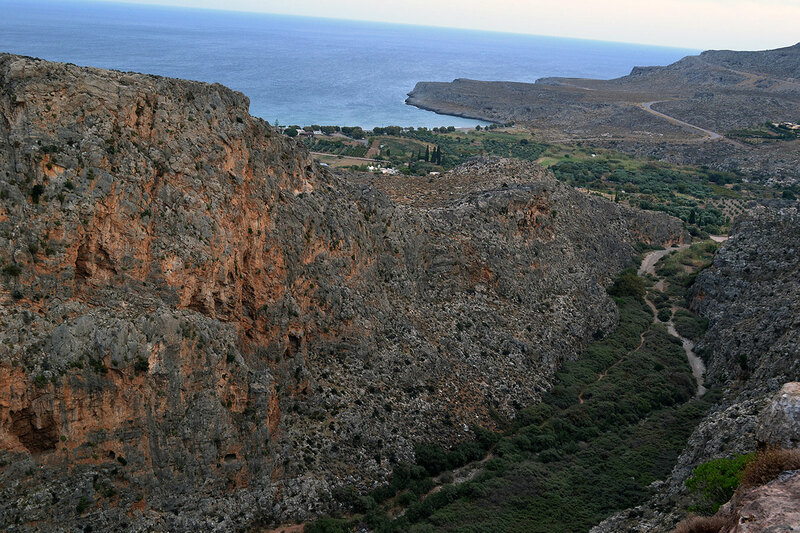 Zakros and Kato Zakros belong to the Municipality of Sitia, one of the eastern municipalities of Lasithi prefecture. Most of the people are working in agriculture and especially with the production and the last years with the export of olive oil. Here, in this faraway but alive and self-sufficient corner of Crete, you will know people that work with the land and you will taste exceptional quality fruits and vegetables, but also one of the best olive oils of Crete. Quality that is owed to the morphology of soil and to the water that irrigates the 250.000 and more olive trees, with natural flow from the springs that are found above the village. It is a blessed place. Not only it did not send away its people, but it kept them and they work at their land. This happened for an additional reason that made Kato Zakros famous all over the world, without however allowing the industry of tourism to "destroy" the area. This is the finding of the Minoan Palace at Kato Zakros. Leaving the picturesque and green Zakros (built at an altitude of 160m. ), compared with the rest of the south-eastern Crete, and continuing on the road for 7 kilometers towards the sea, after a big turn we leave behind us the mountains and embrace the crystal blue waters. There is where East meets South. And somewhere there begins to appear the picturesque bay of Kato Zakros.